My husband and I prefer to frequent locally-owned restaurants instead of large chain restaurants for a number of reasons – to support our neighbors, to enjoy one-of-a-kind recipes, to receive personalized service, and to enjoy a unique experience. Matt tends to go for ‘Dive’ type places, where I look at those and immediately wonder what their cleanliness grade is. So many times, he will check out a place before me to make sure it is ‘Barb approved’. What’s that, you ask? Barb doesn’t approve of restaurants with dirty floors, unclean tables, and unkempt wait staff. The thing is – I don’t care a bit about fancy, but I do want to enjoy my unique, delicious meal in a clean environment. When a server shows up at my table with stains on their uniform, or I see a disgusting towel being used to clean a table, my appetite immediately disappears. I cook a lot – really, and everything is from scratch. There’s no such thing as cutting corners in my kitchen. I always wear an apron when I cook, so I know, just in my own personal kitchen, how difficult it can be to remove food stains. To clean commercial towels and aprons, it takes more than just spraying on some grocery-store spotter and then throwing them into the washing machine. Commercial towels and aprons are subjected not only to incredibly difficult stains but to a lot of them. It takes experience, skill, and the right supplies and equipment to restore these types of linens back to their like-new condition. There’s so much involved with running a restaurant – from ordering food and supplies to managing wait staff to cooking food and handling customers, it can be a bit overwhelming. Why would you want to add uniform, commercial apron, and towel cleaning to all of that? Not only can A Cleaner World Commercial Services lighten the load for your restaurant so that you can concentrate on the parts of the business you enjoy, we can also help improve your restaurant’s image. Just imagine your servers arriving at customer’s tables with a clean, smooth uniform or apron, and your busboys using fresh, clean, sanitized, stain-free towels to wipe tables. Not only will items look clean, they’ll be clean thanks to our state-of-the-art cleaning process which includes washing in bacteria destroying hot water temperatures and adding bleach to rinse cycles to guarantee cleanliness and safety. Restaurants that use A Cleaner World Commercial Services are definitely ‘Barb approved’; Matt would have no trouble convincing me to eat at one of those places. If your restaurant needs help caring for uniforms, commercial aprons, and towels, just call Scottie Springer at 870-6299 or 992-0700 to find out how our service can help you. 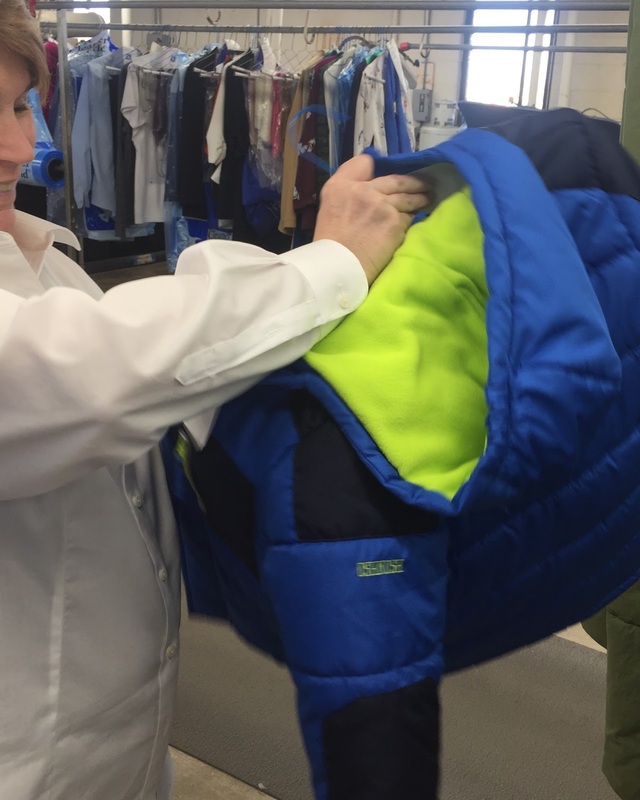 Give A Kid A Coat wrapped up its 30th campaign on Saturday after collecting, cleaning, and distributing 20,576 coats. But I don’t think of it quite that way; I think of it as 20,576 kids and adults that will stay warm this winter thanks to you. So thank you. Thank you for taking the time to check your closets. Thank you for dragging your kids into the mudroom to make them try on coats, which I know can be like pulling teeth. 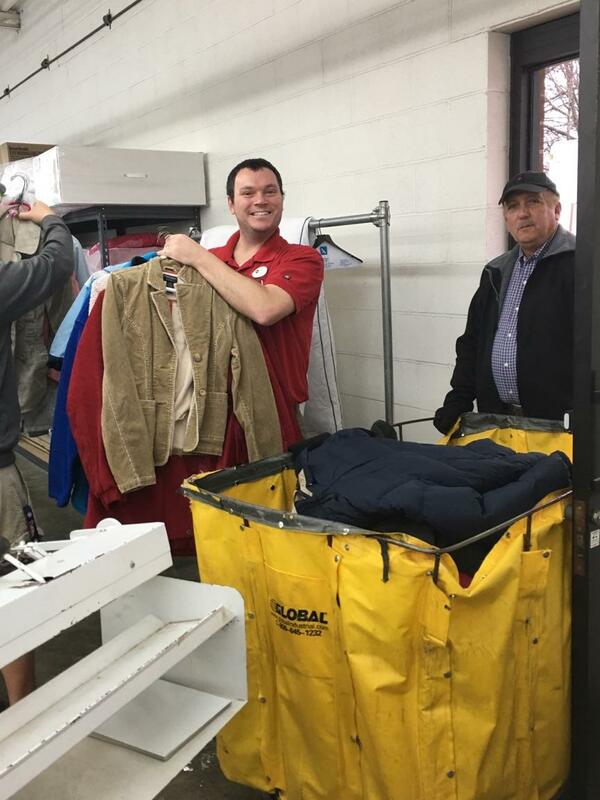 Finally, thank you for driving to one of our locations to drop off coats. 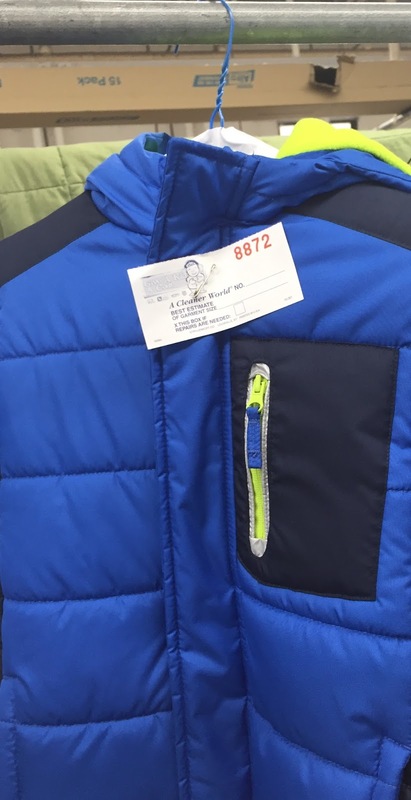 Give A Kid A Coat starts with you. If you don’t bring us coats, then we can’t do our part. Of course, I cannot forget to thank our staff for the extra hours they put in to make sure the coats are clean and ready for The Salvation Army when they come to pick up. 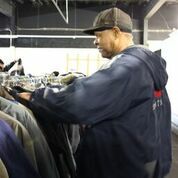 The folks at The Salvation Army do just a terrific job organizing the coats and making the distribution process go so smoothly. Finally, a big shout out to our friends at Fox 8, 1075KZL, and Rock 92 for sharing important details and keeping everyone up-to-date on what’s going on with the campaign. Give A Kid A Coat is definitely a group effort, and if one piece is missing, then it simply doesn’t work. But I think that photos say so much more than words do, so perhaps this will convey what I’m trying to say. While my son Gray loves being a Cub Scout, he’s really looking forward to being a Boy Scout. He says it’s because he wants to help the younger kids, but I think there’s a part of him that wants even more bling and a new uniform. He really likes all the regalia. Don’t waste your money on peel and stick adhesives for the patches. They say it will stay on during washing, but trust me – it doesn’t. If you want the patches to stay on permanently, they need to be sewn on. I’ve tackled that before, but it can be a daunting job. If you’re not a gifted or patient sewer, you could always ask A Cleaner World to do it. Be sure to wash and iron garments before applying badges. If you are unsure exactly where the badges need to be placed, check out this guide. Before washing, check the care label. 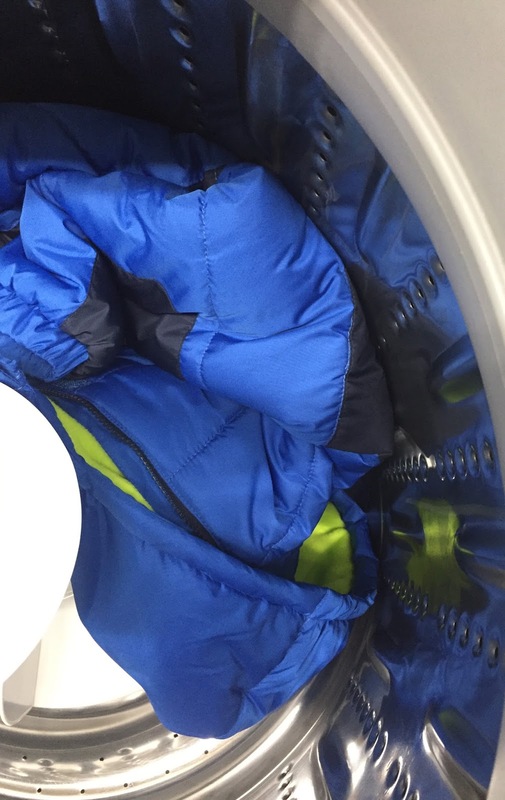 Newer uniforms have instructions but here’s how I went about caring for Gray’s uniform shirt: When washing, especially the navy Class A garments, make sure you remove all pins, turn the garment inside, and wash in cold water. This will help both protect the badges and reduce the chances of fading, which the navy shirts tend to do pretty easily. Hang the garment up to air dry. This again helps protect the badges and reduce fading, then press out the wrinkles with a warm iron if the care label indicates the garment can withstand ironing. A Cleaner World has a long history with the Scouts – our President, Chris Edwards, is an Eagle Scout as is his son, Grant. While we love taking care of all your garments and textiles, we especially love helping out with two things: the American Flag and Scout uniforms! If you have a Scout uniform question or have one that needs special attention, just stop by one of our locations. We are always happy to help. Over Christmas break, I took the opportunity to force Gray into helping me clean out his closet. The boy is a packrat, insisting on keeping everything – from the smallest piece of paper to the trinkets from the Chick-fil-a kid’s meal. I cannot get him to toss anything. While we were weeding through the stuff, I also sifted through his clothes, making a pile of the things he’d outgrown so we could donate them. As I dug through his closet, toward the back I found a beautiful, like-new winter coat. A coat that I think he’d only worn a handful of times because he has both a coat that he’s required to wear to school and a zip up sweatshirt and vest combination that he chooses to wear the rest of the time. I immediately felt guilty and started thinking about all the children out there that would give anything to have a beautiful, like-new, and most importantly warm winter coat like this one to wear daily. We took it to A Cleaner World, and Lisa immediately got to work. I suspect if you check your closets, you will find a coat or two that you could share with someone in need. 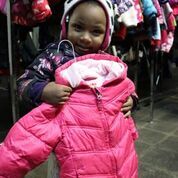 Give A Kid A Coat at any A Cleaner World location now through February 11.